ISO Approved Supplier & Exporter of Seamless & Welded Stainless Steel 430Ti Pipes & Tubes. Stainless Steel ASME SA731 TP 430Ti Pipes, TP 430Ti SS ERW Pipes, Large Inventory of Stainless Steel TP 430Ti Seamless Pipes, SUS 430Ti Stainless Steel Pipes, ASTM A268 Seamless and Welded Ferritic Stainless 430Ti Tubing, 430Ti Stainless Steel EFW Tubing Stock Holder, 430Ti Stainless Steel Pipe. Piyush Steel is a distinguished manufacturer of Stainless Steel TP 430Ti Pipes which still has a tendency for galling and pick-up on the cutting tool. 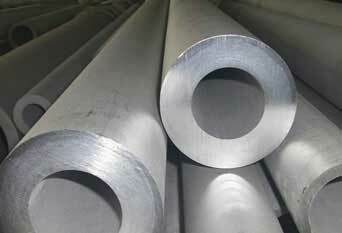 Stainless Steel Din 1.4510 Pipes and Tubes have high corrosion resistance when compared to other steels due to the presence of large amounts of chromium. 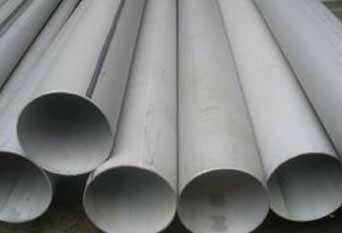 Stainless Steel UNS S43036 Pipes and Tubes is essentially equivalent to Stainless Steel 439 (UNS S43035) material. SS 430Ti Tubes is basically an alternative to SS 430 with better formability and weldability for stamping, drawability applications, and complex shapes. Buy 430Ti Stainless Steel Seamless Tubing at reasonable cost from us. Stainless Steel 430Ti Seamless Pipes, SS 430Ti Pipe, Stainless Steel 430Ti Pipe, Inox 430Ti Pipe, Seamless Ferritic Stainless Steel 430Ti Welded Pipes, Stainless Steel TP 430Ti Tubes, ASTM A731 SS 430Ti Pipes Dealer, SS 430Ti Seamless Tubing Stockists, 430Ti SS Tube Supplier in Mumbai, India. SS Werkstoff nr. 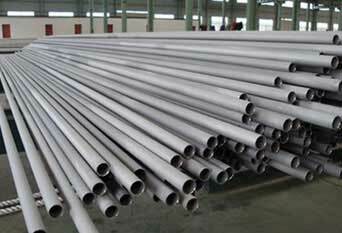 1.4510 Welded Pipes, ASTM A268 430Ti Welded Tubes, TP430Ti Stainless Steel Seamless Pipe, SS UNS S43036 Pipes, Stainless Steel 430Ti Tubing, ASTM A268 Stainless Steel TP430Ti Seamless Tubing, Stainless Steel TP430Ti EFW Pipes Exporter, SS 430Ti Tubing Manufacturer in India. Type 430Ti Pipes has good corrosion resistance in solutions of many halogen-free organic and inorganic compounds over a wide temperature and concentration range. Martensitic Stainless Steel Grade 430Ti Pipes can withstand many sufficiently diluted organic and mineral acids depending on the temperature and concentration of the solution. AISI 430 Pipes may suffer from uniform corrosion in strong organic and mineral acids, as well as in hot concentrated alkaline solutions. SUS 430Ti Pipes is proficient enough for resisting oxidation up to 870 Degree C (1598 Degree F) in sporadic usage, and up to 815 Degree C (1499 Degree F) in unremitting usage. Meanwhile, at room temp, Alloy 430Ti Pipes has the propensity to turn out to brittle, particularly when it has been heated for a longer period of time in the range of 400 Degree C to 600 Degree C (752 Degree F to 1112 Degree F). However, this issue can perhaps be overcome by means of annealing. We Supply SS 430ti Pipes & Tubes of various origin’s and companies like Nippon Steel & Sumitomo Metal, Sandvik, Sanyo Special Steel, Kobe Steel, Schoeller Bleckmann, Salzgitter Mannesmann Stainless Tubes, Tubacex etc. 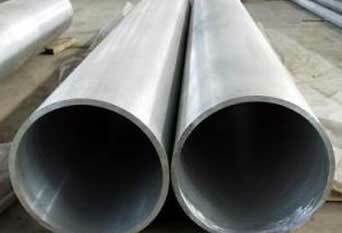 430ti stainless steel pipe price list, martensitic stainless steel 430ti pipe, large diameter steel 430ti pipe manufacturers in india, 6 stainless steel 430ti pipe, perforated 430ti stainless steel pipe, 430ti stainless steel pipe specifications, 430ti stainless steel tube steel, 430ti stainless steel, 430ti stainless steel pipe tube, prime quality tp430ti stainless steel seamless pipes, 10mm stainless steel 430ti tube, 430ti stainless steel pipes and tubes, 430ti Ferritic Stainless Steel, 430ti stainless steel pipe, 40mm stainless steel 430ti tube, 430ti stainless steel tube manufacturers in mumbai, india, stainless steel 430ti tube pipe, 430ti stainless steel tubing sizes, stainless 430ti exhaust pipe tubing, 430ti stainless tubes and pipes, ss 430ti seamless pipe sizes, 430ti stainless steel tubing suppliers, tp430ti seamless pipe manufacturer, 430ti stainless steel tubing price in mumbai, india, stainless steel 430ti pipe price, stainless steel 430ti coil tube, stainless steel 430ti tubing suppliers in mumbai, india.